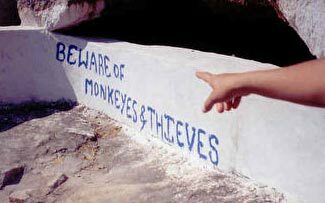 A three-hour mix of tunes about monkeys, in four thematic parts (!). Veers from blues to pop to hard rock to hiphop to funk. Originally made for a Hellbound Monkey themed party, it raged out of control King-Kong-style and took over Appropriate's skyscraper. Everybody loves monkeys!